Mercedes-AMG A45 Performance, Engine, Ride, Handling | What Car? The A45’s 2.0-litre turbocharged engine might not produce the melodic warble of the Audi RS3’s five-cylinder unit, but it still barks like a racing car when you prod the accelerator pedal and the exhaust pops and crackles angrily thereafter. 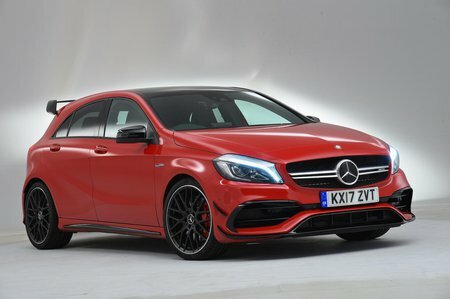 As a reference point, the A45 has roughly 10bhp more than a Porsche 911 Carrera, so it should come as no surprise that this baby AMG is properly quick. However, it never feels scary, which is probably down to how effectively its four-wheel drive system transfers all that power to the road. 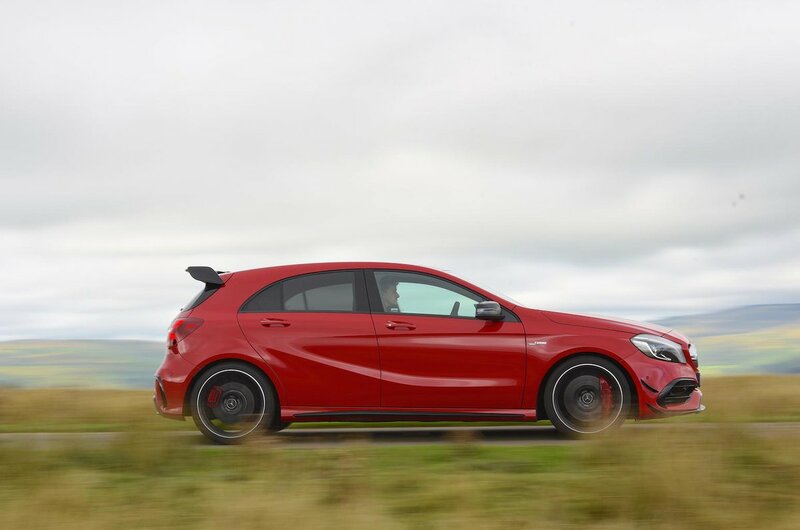 As you come to a corner and jump on the brakes the pedal gives you all the reassurance you need, as the A45 sheds speed even quicker than it piled it on. Turn in and the quick, accurate steering builds just the right amount of weight to tell you how close you are to the limits of grip. In the dry, and with the optional limited-slip differential fitted, traction is immense. All four tyres dig in stubbornly to fire you out of corners, and while wet roads are a little more challenging, the A45 feels incredibly planted whatever the weather. We’ve only tried the A45 with optional adaptive dampers fitted, but in this form the ride is compliant enough to keep the car composed even when goaded by mid-bend bumps. Sure, it's firm, but it’s never harsh, even though it can't quite match the suppleness of the rival RS3. Meanwhile, the gearchanges are appropriately snappy when you take control using the paddles behind the steering wheel, and reasonably smooth when you let the automatic gearbox go about its business unchallenged.